UmiDigi S2 is a flagship full screen phone from UmiDigi. The company calls it the ‘World’s First 2-Day Lasting Full-Screen Phone’, a reference to the phone’s massive 5100 mAh battery. UmiDigi S2 offers a massive 6.0-inch screen on the body of a standard 5.5-inch phone. UmiDigi S2 comes in a full metal body with a full screen bezel-less design with tiny bezels sandwiching the screen from the top and bottom. The slim bezel design with a 90% screen to body ratio makes it possible for UmiDigi to fit a 6.0-inch display on a the body of a standard 5.5-inch display offering a compact design that fits perfectly in your hand. The 6.0-inch display on the UmiDigi S2 offers 720 x 1440 pixels resolution with 18:9 aspect ratio. The front of the phone is covered in Corning Gorilla Glass 4. UmiDigi S2 comes with a dual-lens camera on the back. The 13 megapixels camera combines with 5 megapixels camera to deliver impressive photos. For taking selfies, the UmiDigi S2 provides a 5 megapixels camera. UmiDigi S2 runs Pure Android 6.0 (Marshmallow), which will be upgraded to Android 7.0 (Nougat) with Umi OS skin once in a Wi-Fi coverage. The smartphone is powered on Mediatek Helio P20 chipset that offers a 2.3GHz octa-core processor. UmiDigi S2 has 4GB RAM and 64GB built-in storage. You can add up to 256GB additional storage via the SIM2 slot. One of the major highlight of the UmiDigi S2 is the massive 5100 mAh battery that the company claims can carry you for up to 2 full days of normal use. If gaming is your thing, the phone boasts of up to 10 hours of gaming sessions. UmiDigi S2 supports Bluetooth 4.0, Wi-Fi, GPS, and USB Type C. Like in the UmiDigi Crystal Pro, the UmiDigi S2 now has the fingerprint sensor on the back. The smartphone supports 4G LTE. It will support LTE on MTN, 9Mobile, NTel, Smile, and InterC in Nigeria, while in Ghana and Kenya you can connect via MTN and Safaricom respectively. Like other phones from UmiDigi, the UmiDigi S2 will not support LTE in the United States. Like the latest generation iPhones like the iPhone X, the UmiDigi S2 lacks a 3.5mm audio jack, instead you get a USB Type C to audio jack adapter for connecting your earphones via the USB Type C port. 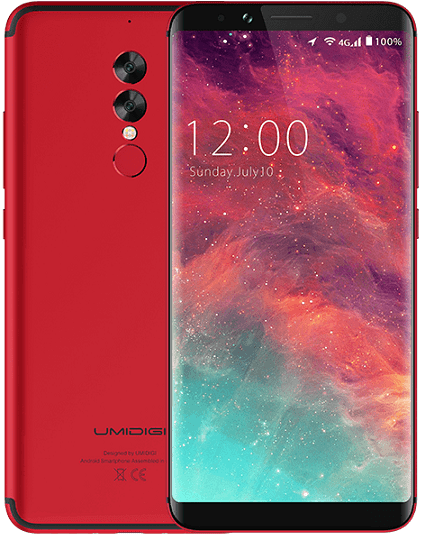 Global presale for the UmiDigi S2 begins September 18, 2017. Price starts at $229.99. UmiDigi S2 starts shipping September. The UmiDigi S2 full screen smartphone may endup selling on Jumia Nigeria as some of the older models from the company are currently being offered by an international third party seller. When that happens, Umidigi S2 price in Nigeria should range from 85,000 Naira and 135,000 Naira.